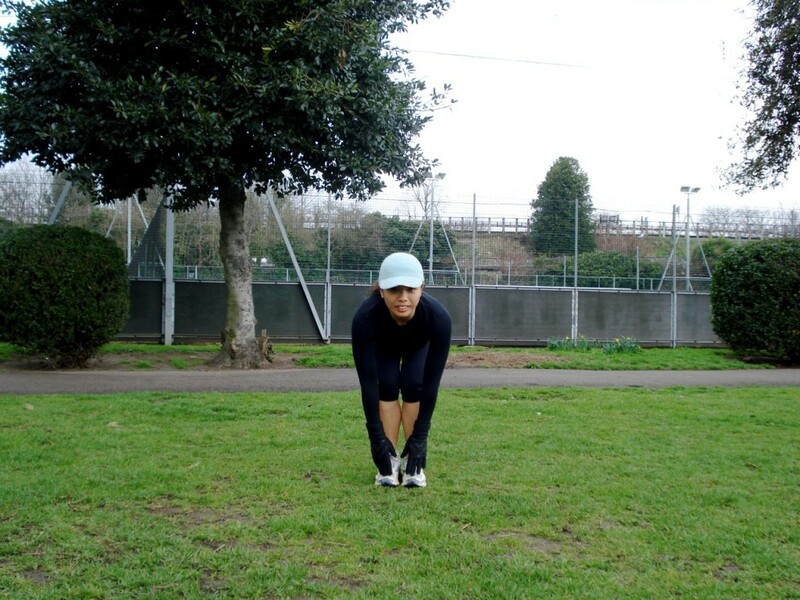 This running on the spot exercise is a great way to increase your heart rate. 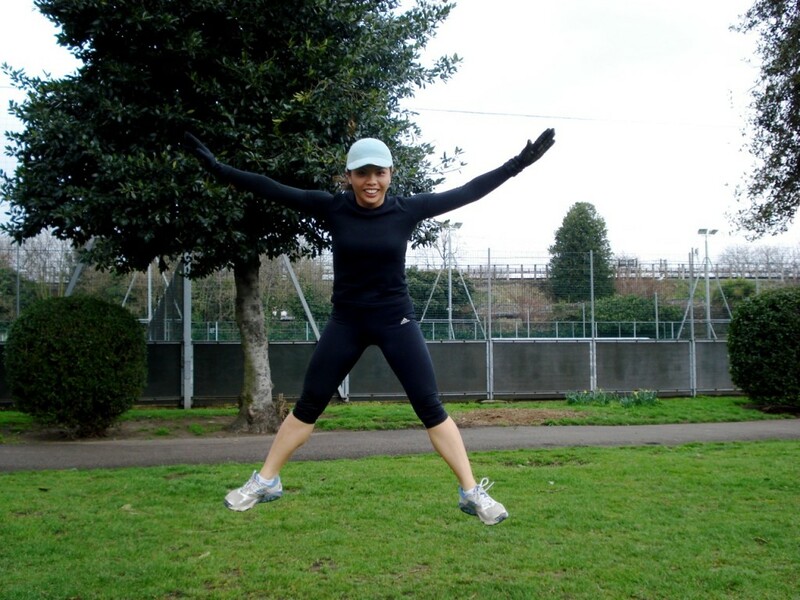 Lift knees high into the air while coming off the ground with the feet. Lift knee until thigh is parallel to the ground. Make sure you focus on running with your back straight, head up and that your chest is out and your shoulders are back. Use your arms to really drive your knees up. This is a good exercise for your quadriceps, hamstrings and glutes (buttocks). Stand with your feet shoulder width apart and your toes pointed our (roughly at an angle of 30 degrees). Keeping your weight on your heels, engage your core and lower your thighs until they are parallel to the floor. Push back through your heels and squeeze your buttocks as you come up. 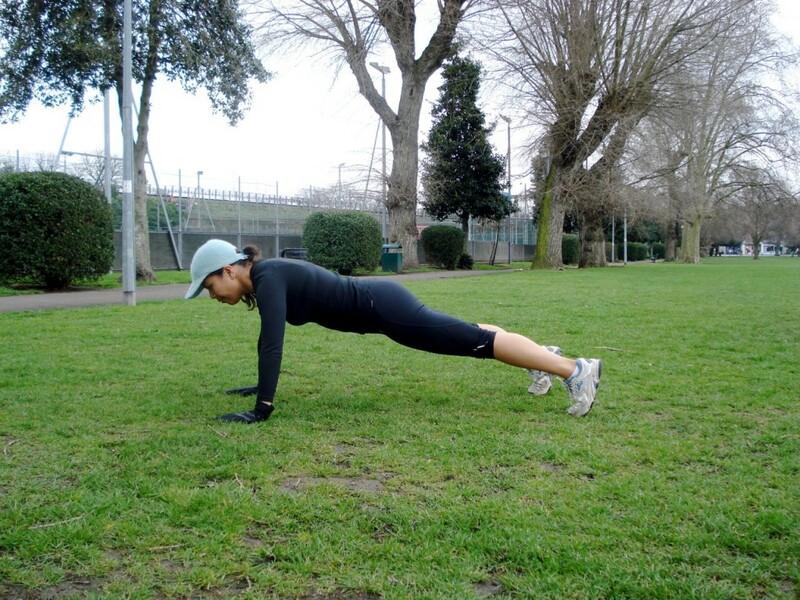 A hard exercise but a terrific total body work-out! Starting from a standing position. 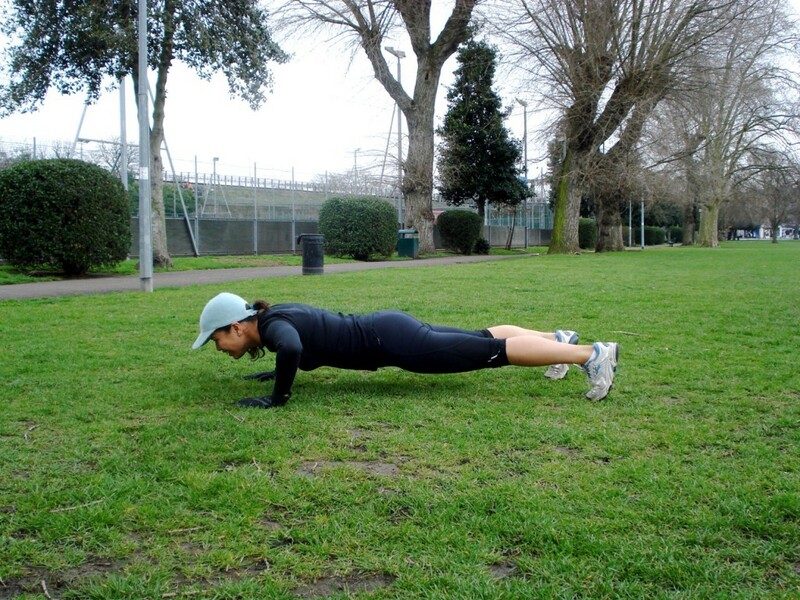 With your weight supported by your hands, drop down into a press-up starting position. Then jump your feet towards your hands. And jump in the air to complete one rep. This is a great exercise to work and tone your triceps. Begin with your hands next to or just under the hips. Bend the elbows (no lower than 90 degrees) and lower the hips down, keeping them very close to the bench (or chair if you are doing this at home). Keep the shoulders down. 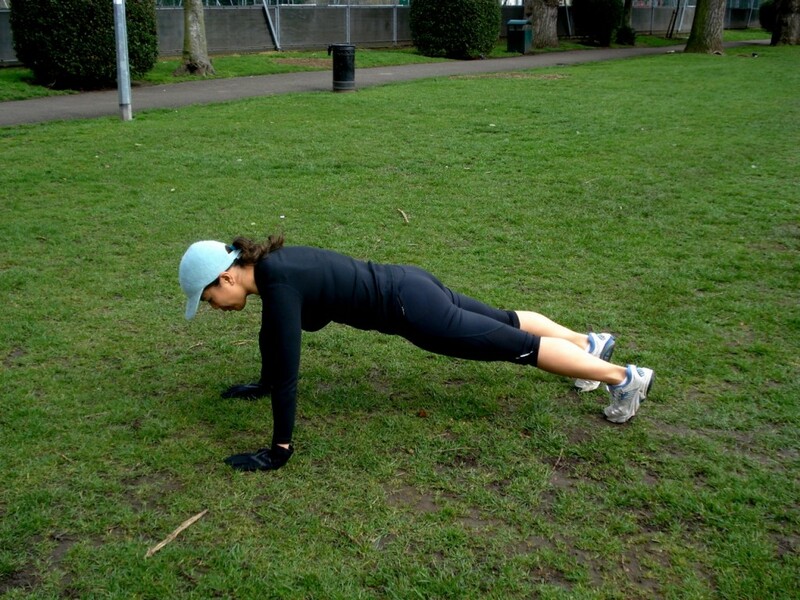 Push back up without locking the elbows. Keep your shoulders down and away from the ears to prevent them from injury and keep your hips close to the bench or chair to work on the triceps and not the shoulders. To make it even harder, lift one leg up for a few reps and repeat lifting the other leg. A great way of exercising your legs and shoulders. Start in the squatted position. Jump up taking your hands and legs out to the side in one quick movement. Lower back into the squat position making sure you land with your feet together remembering to not allow your knees to go past your toes. 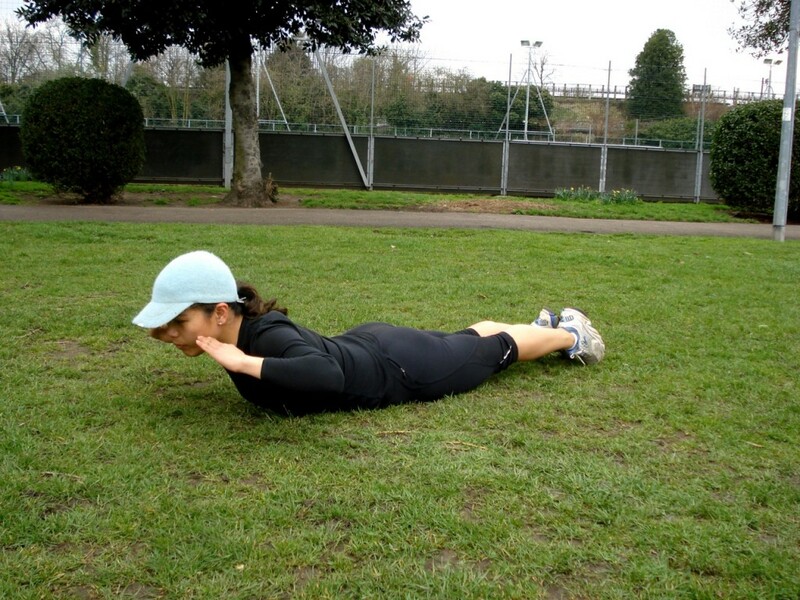 Press-ups are a fantastic exercise that use all the muscles in your arms, help build strong shoulders, work your chest and also help build muscle in your upper back. In summary, they are THE BEST total upper body exercise! 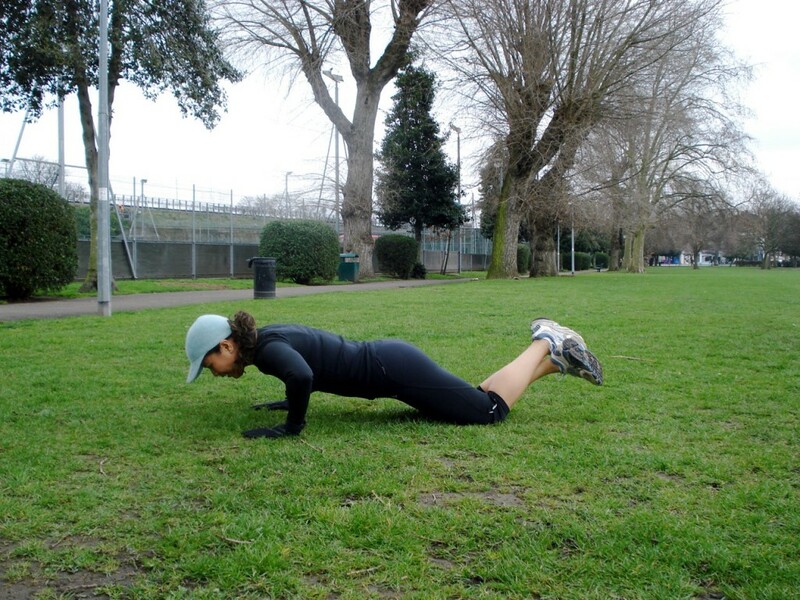 Not only that, press-ups are a great way to develop core strength. Place your hands underneath your shoulders with your fingers facing forward. Your ankles can be either crossed or together. Keep your back straight (keeping your head up and in line with your body should help ensure your back is straight). With your core engaged, lower your chest down so it is no lower than two inches from the floor and raise yourself up again. Lower your chest down making sure your back is straight and your head is in line with your spine, then return to start position. Take a short one minute water break and finish with…. 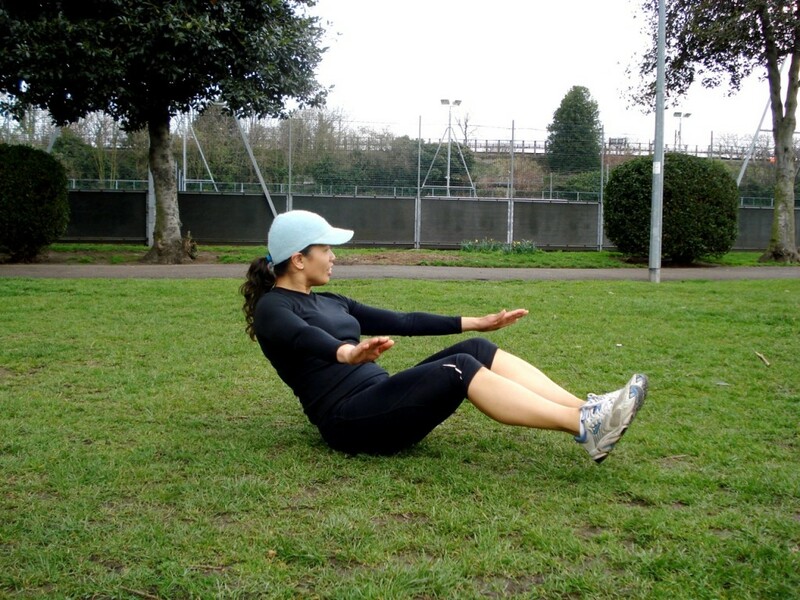 Contract your abs to lift your chest off the ground, as though reaching your chest towards your knee. Keeping your legs still, bring your belly button towards your spine as you come up. Lower and repeat. 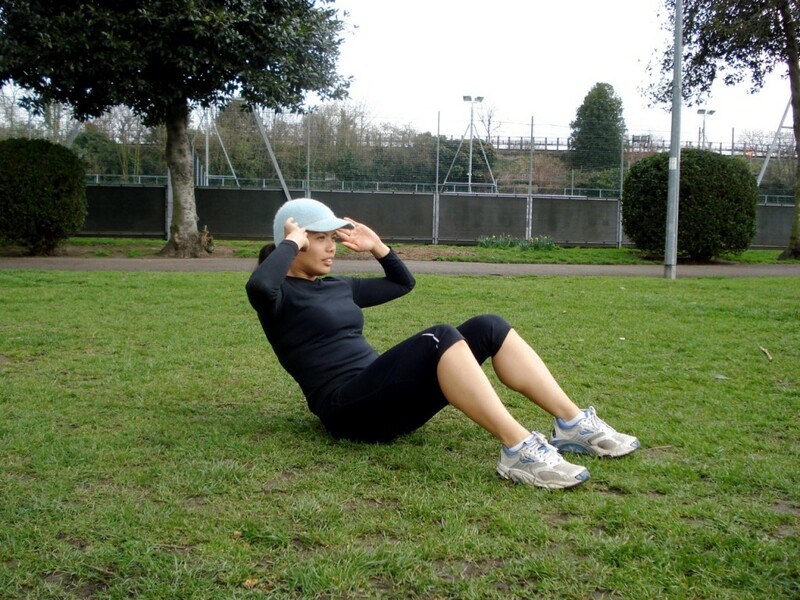 This is a great ab exercise that works your obliques! Sit with your legs up at around 45 degrees to the ground.Your back should be straight and your torso should also be approximately 45 degrees to the ground. 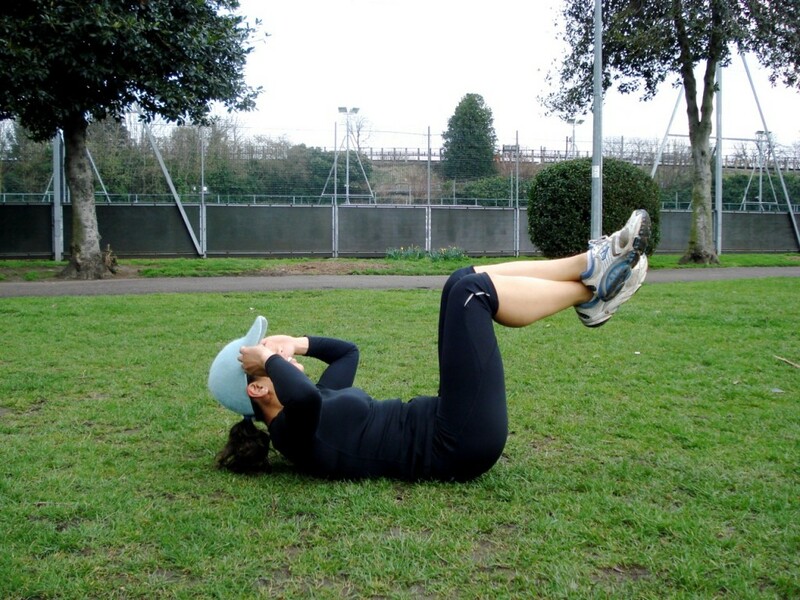 Twist your body to the right and touch the ground with your hand, looking at the ground to get a real twist and really work your obliques! 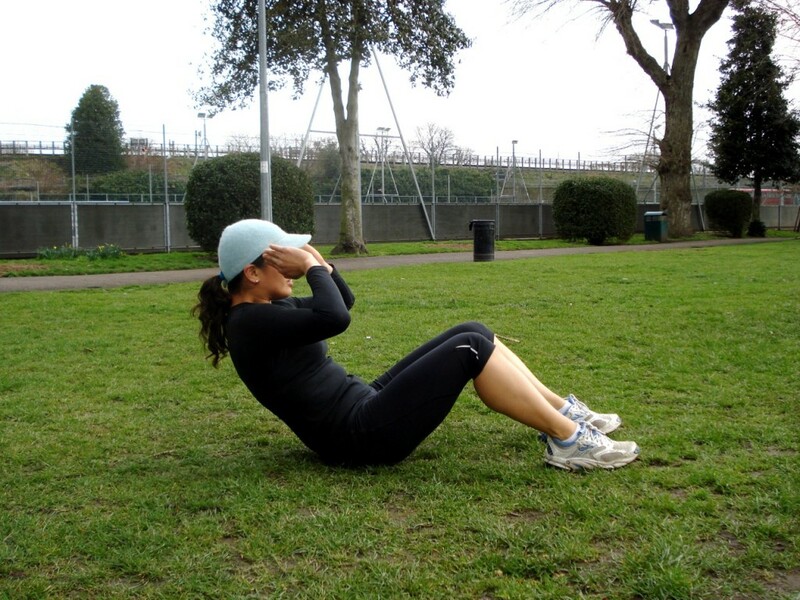 One of the best exercises to work your rectus abdominis (i.e., the ’six pack’) and the obliques (the waist). Start by lying face up on the floor and your hands on the side of your head. 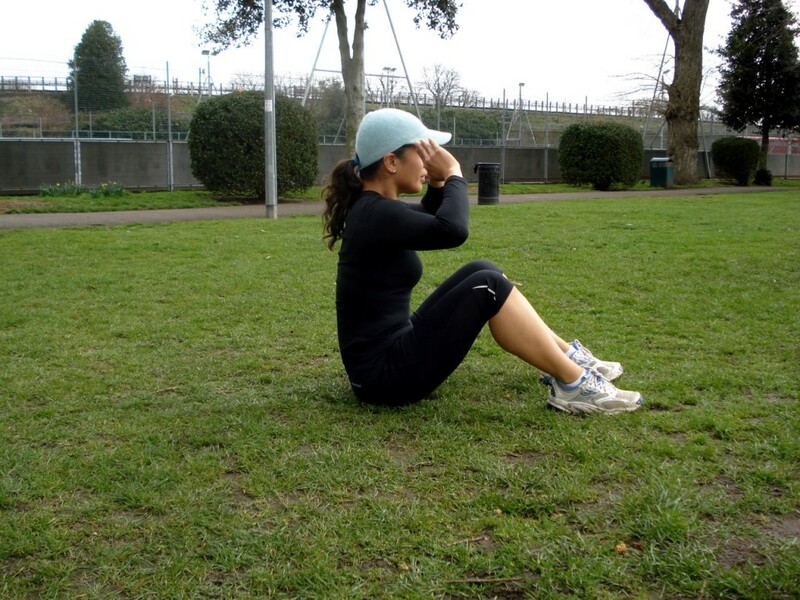 Bring the knees in towards the chest and lift the shoulder blades off the ground without pulling on the neck. Straighten the left leg out while simultaneously turning the upper body to the right, bringing the left elbow towards the right knee. Pushing your belly to your spine, lower your legs so they are only two inches from the ground then lift leg up to start position. Lie with your back on the ground, hands on your temple, your knees bent approximately 90 degrees and your feet flat on the ground. 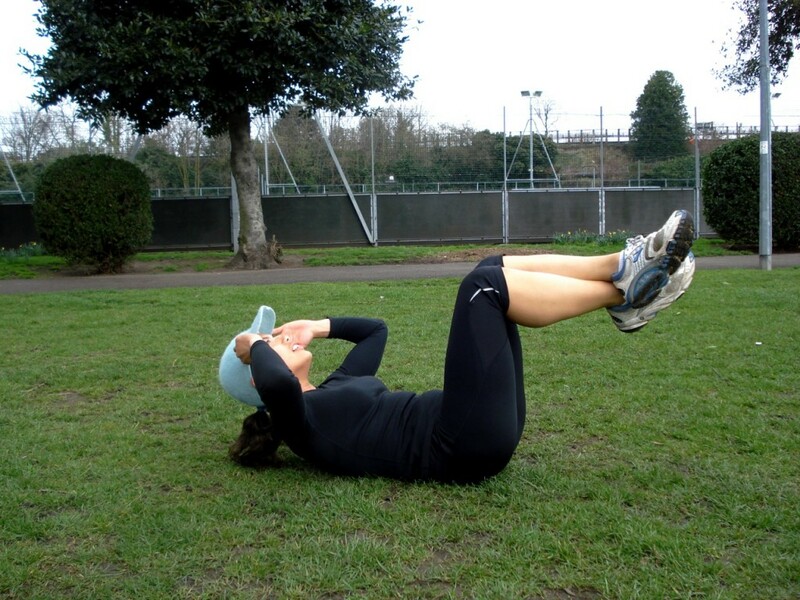 Keeping your feet and bottom on the ground, use your abs to lift your torso off the ground. Sit all the way up, keeping your hands on your temple (if possible) and breathing out as you come up. Reverse the motion to the start position. Sit on the ground in the Killers position but with hands on the ground pointing in the forward direction and your knees slightly tucked towards your chest. 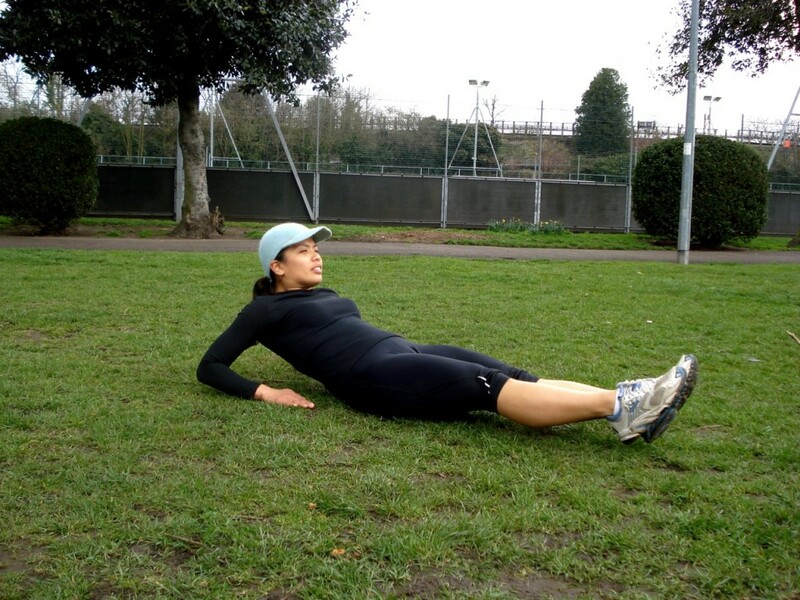 Extend and lower your legs so they’re 2 inches off the ground at the same time; lean your torso back. Using your abs, return to start position. Lie with your belly on the ground and your hands on your temple. Keep your feet together and on the ground to avoid too much pressure on the lower back. Slowly lift your head and shoulders off the ground holding it in the up position for a couple of seconds before lowering again. You can vary the back extension by twisting to the left when you come up always coming to the center before twisting to the right. Another version (and slightly more difficult) is the Superman back extension. 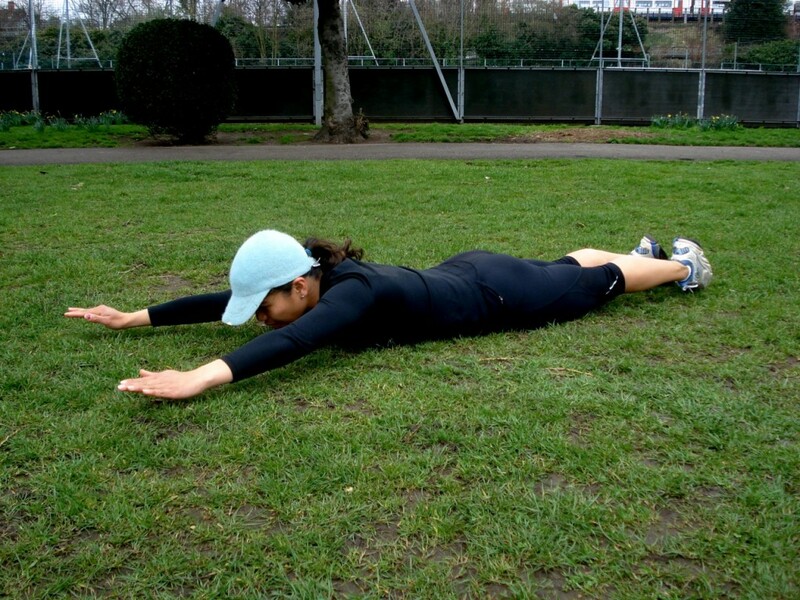 Taking your arms forward like Superman, slowly lift your head and shoulders off the ground. Slowly lower your head and shoulders back down to the start position, keeping your head and shoulders no less than 2 inches off the ground. This exercise routine takes about 40 minutes and can be done three times a week but no more than four. The best part is that you can practice Tabata anywhere!